Leading life safety systems manufacturer, Hochiki Europe, has helped keep college students and their lecturers' safe with the installation of a new fire alarm system. 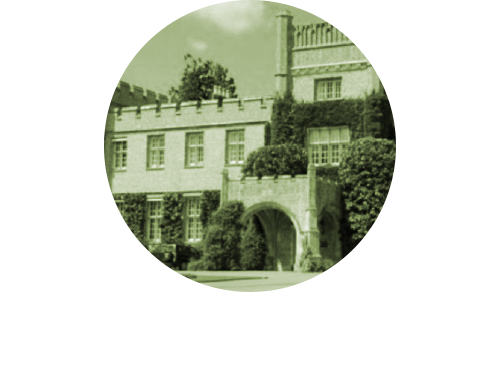 West Dean College, West Sussex, is internationally renowned for creative arts and conservation education, attracting students to 700+ short courses, and specialist degree and diploma programmes. The two kilometre estate is comprised of seven different educational, residential and leisure buildings, some of which date back to the 19th century. Leading life safety systems manufacturer, Hochiki Europe, has helped keep college students and their lecturers' safe with the installation of a new fire alarm system. West Dean College, West Sussex, is internationally renowned for creative arts and conservation education, attracting students to 700+ short courses, and specialist degree and diploma programmes. The two kilometre estate is comprised of seven different educational, residential and leisure buildings, some of which date back to the 19th century. The college invited Southern Fire Alarms (SFA) to design and install a new fire alarm system compliant with British Standards. A key concern for any college is false alarms; they not only disrupt lessons, but can also cause unnecessary panic, increasing the risk of possible injuries and accidents. As such, SFA had to ensure it selected the most reliable and robust solution on the market. As a result, SFA specified approximately 200 Hochiki Europe detectors including Photoelectric Smoke Sensors, designed with High Performance Chamber Technology, across the seven buildings. In addition, 41 manual call points with short circuit isolators were installed; allowing the system to retain its integrity and operate as required, even if loop cables became compromised. The size of the site also called for an increased number of base sounders, with a total of 64 being used to offer optimum sound coverage. Each of the products specified for the new system feature Hochiki Europe's Enhanced System Protocol (ESP). Selecting an open protocol like Hochiki's ESP, affords the installer the freedom to select a combination of devices and panels that will best suit the project, and can reduce ongoing maintenance costs for the building owner. In this instance, SFA selected an Advanced Electronics Panel which seamlessly communicates with Hochiki Europe devices. Ian Graham, Director of Property and Campus Operations at West Dean College, commented: “The safety of our students and staff is of paramount importance, and this is only possible with the installation of an effective life safety system. It's essential, however, that the benefits of these products are not compromised by false alarms. Speaking about the impact of false alarms, Michael Reed, Regional Sales Manager at Hochiki Europe explained: “False alarms are a growing problem in the fire safety industry. According to a 2015 Building Research Establishment (BRE) report, false alarms cost public sector organisations more than £1 billion per year. As well as the financial implications involved, false alarms also waste valuable time and resources that could be spent on genuine emergencies. Following a successful installation across the seven buildings, a further two buildings have been fitted with a Hochiki Europe fire safety system.